Getting a school to recognize, test, and then accommodate your child with dyslexia can be an arduous and frustrating task. Although public school systems can accommodate the individual needs of our struggling students, many administrators don’t like to tap into the general education coffers for a single student. As a result, parents often have to rally and wrestle to obtain reasonable accommodations for their children with dyslexia and other disabilities that impact learning. The key to navigating this slippery slope is to understand the laws, the lingo as well as the menus of mandated accommodations and modifications. 504: A 504 is a formal plan that protects the rights of students with disabilities in school. Covered under Section 504 of the Rehabilitation Act, this civil rights law gives students with disabilities access to services and supports in the general education classroom. There are no mandated rules on the format or contents of a 504 plan. The only thing a school has to document in writing are their policies on 504 plans. 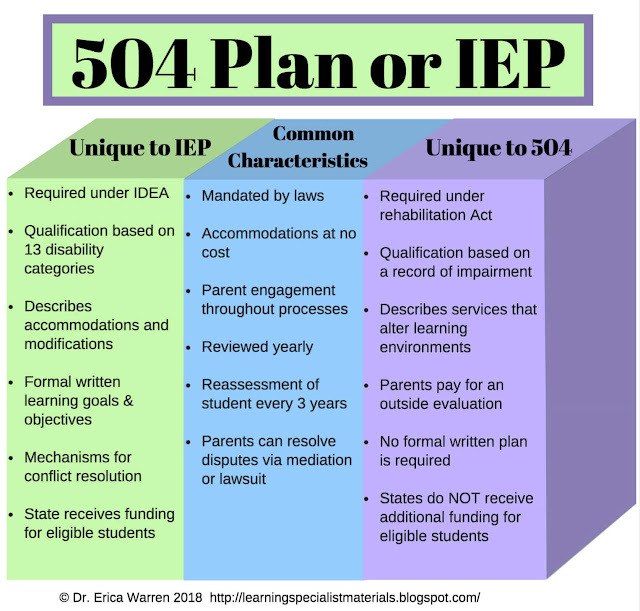 If a student needs specialized instruction, it may be time to arrange a meeting with your school to discuss implementing an IEP instead of a 504 plan. For more information and exact wording, see the U.S. Department of Education website. A reasonable accommodation describes an alteration of the learning environment, curriculum format, or equipment that allows an individual with dyslexia to gain access to content and/or complete assigned tasks. To learn more about the distinction between accommodations and modification CLICK HERE. What are Some Possible Reasonable Accommodations for Students with Dyslexia? Provide a consistent daily routine. Make sure documents are well organized and are not too visually dense. Preview new topics and review the vocabulary. Review old topics to assure the retention of knowledge. Use small group or one-to-one instruction. Break projects into organized activities with clear expectations and deadlines. Offer reminders to write down and turn in assignments. Offer modified/reduced in-class and homework assignments. Provide extended time for homework assignments. Check for student understanding prior to assigning homework. Offer a list of homework assignments that are accessible to the student as well as the parents. Provide a foreign language substitution, waiver, or exemption. Offer an additional set of textbooks for use at home. Allow the use of a tablet or computer to take notes or complete assignments. Provide audiobooks through organizations such as RaziKids, Learning Alley or Bookshare. Provide a picture of directions and schedules. Offer extra time when reading. Simplify directions and highlight keywords. Provide oral directions, check for understanding, and repeat directions - if needed. Offer a larger font with less content on each page. Provide text to speech and technology. Offer Orton-Gillingham based reading instruction. Provide pre-exposures or advanced notice of reading assignments. Supply the use of a computer with a spell check or a hand-held spell check. Do not penalize for incorrect spelling on classroom writing and tests. Supply a copy of the teacher’s or another student’s notes. You can also provide notes with a few blanks for students to fill in. Offer a scribe for classroom writing assignments. Allow the use of a tape recorder or a Smart Pen. Provide a computer for written assignments and tests. Provide assistive technology such as speech to text, word prediction, spell checkers and grammar checkers. Do not deduct points due to sloppy writing. Do not require the student to copy information. Allow the use of graph paper for lining up math problems. Read word problems aloud and assist with tricky wording. Allow the use of math manipulatives and colored markers. Provide the use of a calculator or a multiplication chart. Grant time and a half or double testing time. Offer to test in a distraction-free location. Avoid scantrons and allow the student to write directly on the test. Simplify and reword questions on language loaded tests. Provide short breaks when needed. Permit the use of a calculator during testing. Provide a scribe during tests. Allow the student to demonstrate mastery of content by answering oral questions. 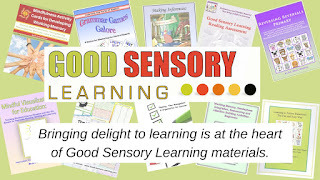 The free Good Sensory Learning Dyslexia Screener is based on my comprehensive, doctoral training, an extensive literature review, and over 25 years working with dyslexic learners. This 20-question screener presents a simple, Likert scale that addresses the common symptoms. It is an informal evaluation that is best used to indicate whether formal testing should be pursued. CLICK HERE to download your free copy today. 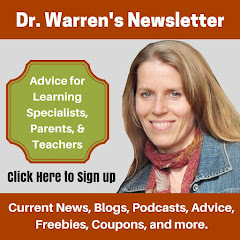 Dr. Erica Warren is the author, illustrator, and publisher of multisensory educational materials at Good Sensory Learning. She is also the director of Learning to Learn and Learning Specialist Courses. Many teachers can not fathom how apparently simple tasks such as using an agenda or turning in an assignment can be very difficult for some of their students.In fact, many students need comprehensive instruction and scaffolding to learn to plan, manage time, and organize.Executive functioning, which encompasses these skills is the last part of the brain to fully develop, and in actuality, does not reach maturation until students reach their early 20's. How Hard Can it Really Be to Plan, Manage Time and Organize? I have to admit, when I first started working with students that struggled with executive functioning, I was surprised how challenging planning, time management, and organization could be for some of my young, bright learners.What seemed to be clear and obvious was obscure, taxing and problematic for them. You can create your own overlays by using whole sheets or cutting strips of transparent, colored report covers, dividers or overhead projector film. All of these options can be found at office supply stores. Step two: Everyone is different. Let your students try out the different colors and see which one they like the best. Step three: For some students, keep whole sheets so that students have the option of changing the background color of the entire page of text. Other students might like a thin strip of color, as it can help with tracking from one line to the next. I make them a variety of lengths and widths, and often let students decide for themselves. Note: The strips also make wonderful book marks. While reading, tracking across the page from one line to the next can be tricky when the text is small, but for students with dyslexia or weak reading skills, it can be a problem regardless of the font size. So why is this the case? Perhaps one of the problems is poor tracking skills. What Exactly is Tracking? Tracking is the ability for one's eyes to move smoothly across the page from one line of text to another. Tracking difficulties happen when eyes jump backward and forward and struggle to stay on a single line of text. This results in problems such as word omissions, reversals, eye fatigue, losing your place while reading and most importantly it can impact normal reading development. Following Directions: How Do I Teach this Skill? Learning to follow directions is a crucial milestone in any student’s learning program. 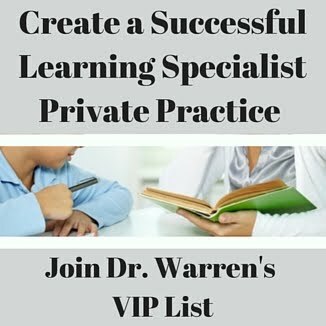 It is the foundation of learning and difficulties in this area can impact a student’s ability to take notes, follow a sequence of steps, as well as show their knowledge on written assignments and even multiple-choice tests. Even if a student is listening carefully or reading and rereading text, it doesn’t mean that they will succeed at following directions. Weaknesses in attention, executive functioning, and language processing (both auditory and visual) can present as great obstacles for these students. So what can be done about this? We need to teach students how to follow directions. They need to learn the subtleties of linguistic cues. They need to learn to carefully analyze each word and then know how to decipher what it all means. Students with dyslexia and other language-based learning disabilities often learn differently and require an alternative approach to learning basic reading. In addition, most of these young learners are working full tilt while sitting in the classroom and by the time they get home and have to complete their homework, they are mentally spent. As a result, tagging on remedial reading lessons to a cup that is already overflowing can be enough to turn these kids off to learning altogether. How Can We Help These Students Learn the Core Skills Needed to be Successful Readers? Teachers are always trying to reach more learners and improve retention. One of the best ways to do this is to employ a variety of teaching methods. This involves integrating the 12 ways of learning into instruction. 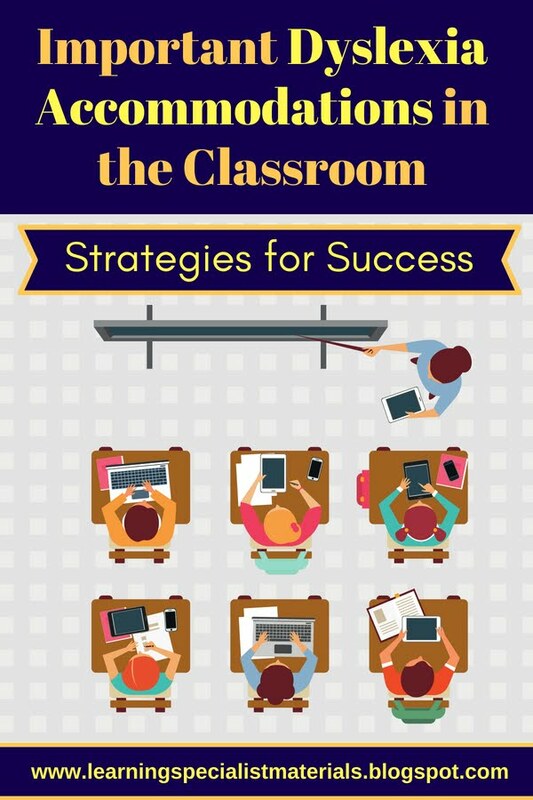 Here is an infographic that reviews the 12 ways of learning and provides some statistics on how learning improves when teachers implement multisensory instruction. How Can I Learn Multisensory Teaching? How Can I Improve my Executive Functioning? Executive functioning, or what I like to call the conductor of the brain, is the process of the mind gathering together and making sense of all the information we receive from our instruments or senses. Helping us to create meaning from what we see, hear, touch, taste and experience, executive functioning also allows us to focus our attention, think about new information, and make connections to what we already know. Many teachers and parents have trouble understanding how simple tasks such as remembering appointments, using an agenda or turning in assignments can be difficult, but unfortunately these and other similar tasks can be extremely challenging for some individuals. However, the good news is the part of the brain that manages executive functioning, which is called the frontal lobe, continues to develop through high school and college. Therefore, many kids that struggle with executive functioning can significantly improve their abilities. How can we nurture resilient, active learners that embrace challenging academic material and become successful lifelong learners? Carol Dweck suggests that what we need to do is help students shed a fixed mindset and adopt a growth mindset. What's more, Dweck contends that developing a growth mindset will also result in less stress and a more productive and fulfilling life. What is a Fixed and Growth Mindset? Not all students require the same remedial process even though they struggle with the same academic difficulties. Diverse combinations of cognitive processing weaknesses and deficits can unite to create the "perfect storm" that can cause challenges with reading, math, writing, spelling and more. In fact, no two students have the same cognitive profile, so to provide the optimal solution, one needs to consider both a student's strengths and weaknesses when designing a remedial approach. Occasionally, I like to present the questions emailed to me from parents and teachers. This week, I will share an email that I received from a parent in England as well as my response.